IAS or Indian Administrative Service – the permanent bureaucracy, is a British invention to ensure administrative continuity and political neutrality in a democratic system of Government where there is a probability for the political power to change hands after an election. It is a necessity to ensure that the best candidates are chosen for the administration of the nation. IAS officers are recruited from the Civil Services Examination, which is conducted by the Union Public Service Commission (UPSC). This is one of the toughest recruitment processes in the world with a success rate of only .01% . Another indication of its toughness is; the topper in Civil Services examination usually gets around 53% marks overall. If we take the candidates into account, there is no level playing ground, as people born with silver spoon in their mouth try their mettle along with those coming from dirt poor background. With so many coaching centres around, those who can afford definitely have better chances of getting in. Once in a while, we hear inspiring stories of young men, who overcame all the odds to be counted among the “heaven born”. 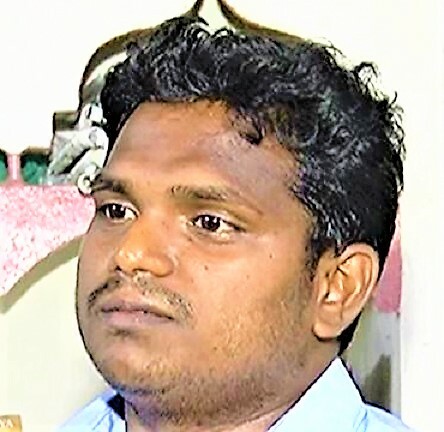 The life of Shivaguru Prabhakaran, who bagged 101st rank in UPSC exams this year will definitely inspire children from proletariat backgrounds for many years to come. Shivaguru’s father an alcoholic and mother and sister struggling to make ends meet by selling Coconut fronts – even completing Secondary School was an uphill task for Shivaguru. Seeing his mother’s struggle, Shivaguru left his studies and became a sawmill operator after completing his 12th Exams. Two years working as a sawmill operator and an odd job labourer at a farm nearby Shiva managed to save some money. He paid for his brother’s engineering studies and married off his sister and then decided to continue with his studies. In 2008, he enrolled for civil engineering at Thanthai Periyar Government Institute of Technology in Vellore. But his aspirations were much higher and he wanted to crack IIT entrance exams, which took him to a tutor in St Thomas Mount, who trained underprivileged students. But there was a problem, Chennai is 140Km from Vellur and he couldn’t afford an accommodation in Chennai to attend the tute on weekends. The solution was to sleep at the Platforms of St Thomas Mount Railway station on Saturdays and to leave for Vellur on Sunday to attend his regular classes . To support his studies, he needed to work part time on weekdays after his classes. With his determination and grit, he managed it all. His hard work paid off, Shivaguru cracked IIT entrance and finished his M Tech Program with a top rank in 2014. In 2017 he cracked Indian Civil Service Exams with a rank of 101 in his fourth attempt. With this level of determination, passion and perseverance, Shivaguru will be an asset for the Indian Administrative Service and above all an inspiration for many generations to come. Shivaguru hails from Melaottankadu village in Pattukottai in Thanjavur. Naturally a question may arise, what inspired Shivaguru to became an IAS officer? Shivaguru happened to see J.Radhakrishnan IAS, who was incharge of the relief work in Nagapattinam and Thanjavur after the 2004 Indian Ocean earthquake and tsunami. Radhakrishnan’s dedication captured the mind of young shivaguru and from that day onwards, this gritty young man carried a dream to serve the people like J.Radhakrishnan. Radhakrishan was no ordinary IAS Officer. His relief work after the 2004 tsunami in fact captured world attention and former American President, Bill Clinton when he visited Nagapattinam district appreciated his services. Radhakrishnan was invited by United States Department of Education to lecture on tsunami-related issues in many U.S. states. We wish Shivaguru all the best in his future endeavours and hope his story would inspire many like him, who otherwise would pass their life blaming their fate, in the absence of an inspiring true story.